Depth Charge: Is This the Best NBA Sixth Man Race Ever? I love a spirited NBA debate as much as anyone on the planet, but there is one point on which you will never convince me otherwise: in terms of the level of overall talent, the league has never been in a better place than it is right now. Historically, eras are defined by the stars, and the pace-and-space era has no shortage of those, but one of the defining characteristics of the modern game has been the depth of talent throughout the league and how it has raised the overall level of play from possession to possession. We've seen pace, scoring, and offensive efficiency rise steadily over the last half-decade, for various reasons, but for all the explanations we can proffer, it's hard to argue with the idea that the quality of play has improved, in part, because on average, each player is simply able to discharge his role and responsibilities at a higher level than in years past. The NBA truism is depth is less important in the postseason as rotations shrink and stars take on added importance, and for the most part the theory holds water. But in the regular season, the evidence is mounting that depth is king. Take Denver, for example. The Nugs are currently atop the West and have won ten of their last twelve games, despite having an injury report which by itself would probably be the 6-seed in the East. The Clippers, Mavs, and Kings have also outperformed expectations owing largely to strong bench units. In the East, most of the top squads have also gone the "spread the wealth" route. Toronto is the most obvious example, despite their recent three-game slide. 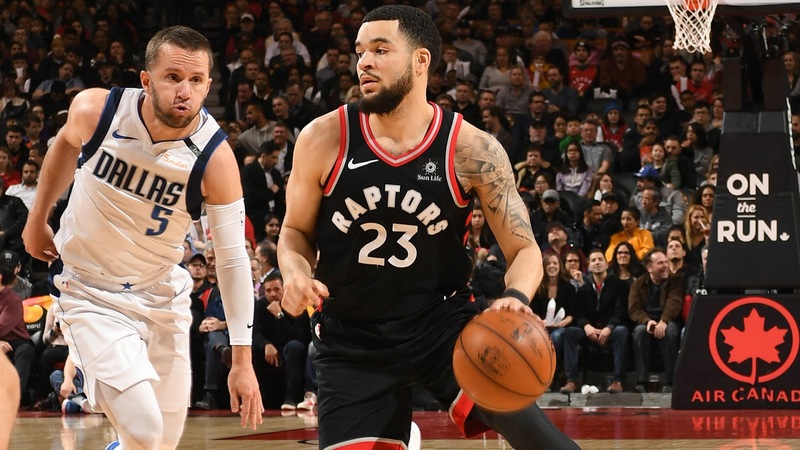 They not only have a center-by-committee approach to the starting lineup -- allowing head coach Nick Nurse to deploy Serge Ibaka, Jonas Valanciunas, or both as the matchups dictate -- but they go 11-12 deep with productive NBA players, which has enabled MVP candidate Kawhi Leonard to rest on one leg of back-to-backs as he continues to recover from last season's mysterious quad injury without the team missing a beat. Milwaukee, Boston, and Indiana have similarly surrounded their singular stars with a cornucopia of complementary talent. This explosion of bench productivity has led to one of the deepest and most interesting Sixth Man of the Year races we've seen, perhaps ever, and it's the focus of our breakdown today. I've identified a mind-boggling fourteen players with a legitimate claim to the award. The NBA's only criteria for eligibility is the player comes off the bench more often than he starts, so we'll stick with that, even though a few of these guys have either already moved into the starting lineup or may do so at some point, meaning they could eventually end up out of the running. To account for differences in minutes and try to get an apples-to-apples comparison of production, the stats you'll see below are all per-36 minutes unless otherwise noted. I've broken the candidates down into three distinct tiers, so let's get started. JOSH HART, LOS ANGELES LAKERS: Hart's stats look underwhelming, but he has been one of the most important factors in the Lakers moving beyond their getting-to-know-you phase and transitioning into a real threat in the West. His catch-and-shoot ability and defensive versatility make him both a great fit next to LeBron and Grade A lineup spackle, which probably explains why he has taken over the starting SG role for LA and is unlikely to relinquish it any time soon. Either way, he still warrants a mention. MONTE MORRIS, DENVER NUGGETS: Morris was a guy I had my eye on out of college at Iowa State. He was a 4-year senior and never wowed anyone with his length or athleticism (hence why he was drafted at no. 51 by Denver in 2017), but every time I watched him, he just knew what he was doing. He always seemed to be under control, making correct decisions, and getting to his spots in a way that was underappreciated because the talent around him couldn't quite make proper use of his skills. Morris didn't get an opportunity in his rookie season, but with the rash of injuries Denver has suffered early this year, he has been thrust into the spotlight earlier than expected and thrived in his new role. He shoots when he should -- and at elite percentages -- keeps the ball moving, and hardly ever turns it over (currently 9th in the league in turnover percentage). He has become a calming influence on Denver's youthful roster, and has caught the attention of the veterans and coaching staff alike. Guys like Morris hide in plain sight in the draft every year -- Jalen Brunson, anyone? -- and teams continue to overlook them. The moral of the story, as always: NBA teams are dumb. Anyway, it's a shame a dude this good might not even crack the top-10 in the voting. J.J. BAREA, DALLAS MAVERICKS: It is unclear if the passage of time applies to Barea in the same fashion it does to the rest of us mere mortals. He appears to be getting better with age -- at 34 years old and listed at a generous 6'0", Father Time should be having his way by now -- and it certainly looks as though he could still be schooling punks in the pick-and-roll well into his mid-40's if he were so inclined. His outside shooting is down so far and he remains the same defensive liability he's always been, but offensively he's aging like a fine wine, with career highs in PER, Win Shares per 48, Assist Percentage, and Usage Rate. He always seems to get some passing consideration in the Sixth Man race, and it speaks to the depth of this year's class that he won't sniff the award despite having the best season of his career. MARCUS MORRIS, BOSTON CELTICS: Like Hart, Morris will probably fall out of the running eventually, as he has started the last 11 games for the suddenly-surging Celtics. In any case, he has been a breath of fresh air offensively for a team which has badly needed it, scoring with an efficiency we've never seen from him before (career highs in FG%, 3P%, FT%, PER, WS/48, eFG%, and TS%), so he deserves some love. And because the NBA isn't weird at all, right around the time Marcus was moved into Boston's starting lineup, his twin brother, Markieff, was re-energized by his move to the bench unit for Washington and could easily replace his brother in this conversation as the season progresses. TERRENCE ROSS, ORLANDO MAGIC: An excellent example of my "depth of talent" argument from the intro. After being drafted 8th overall by Toronto in 2012, some might consider Ross' career up until now a disappointment, which is both fair and unfair at once. He's not a star and he never will be, so it could be argued he was a "waste" of the 8th pick, though if you recall from my Draft Slot NBA column, the 8th pick hasn't exactly been a hotbed of talent over the last fifteen years. At the same time, Ross is what he is, which is useful: an athletic, versatile bench wing who can hit open shots and keep the ball moving without using a ton of possessions, turning it over, or costing his team much defensively, and at a reasonable-yet-tradeable cap figure. Teams need those guys! He won't win the award, and it's a shame he's burning up his prime years for this lame Orlando franchise which can't ever seem to figure out what it wants to be, but he still deserves some shine for his career year. SPENCER DINWIDDIE, BROOKLYN NETS: I was originally going to relegate Dinwiddie to Tier Two in deference to two-time winner (and reigning 6MOY) Lou Williams, but after his recent torrid stretch -- combined with the Clippers' current skid -- Spencer gets the nod. In any case, Dinwiddie has been terrific. 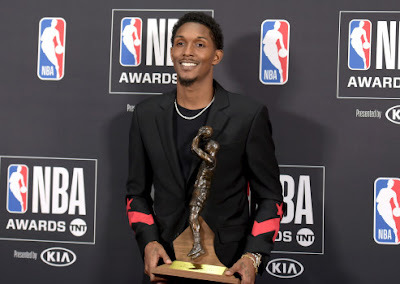 He was forced into a starting role for much of last season and showed off his playmaking chops as the lead distributor (9th in the league in Assist%) for an injured, cruddy Nets team. This year, with starter D'Angelo Russell healthy and showing some signs at long last, Dinwiddie has been able to come off the bench and display his scoring ability (17.5 ppg on 48/37/78 shooting in 28.8 minutes a night), including 24 ppg during the Nets' improbable seven-game active win streak. He was recently rewarded with a 3-year/$34 million extension and has been a huge part of Brooklyn creeping back towards .500, just a half-game out of the eighth spot in the East. He'll remain in the thick of the race if he and the team can continue their ascent, but as good as he's been, it's tough to envision him surpassing all of the names we're about to discuss. DENNIS SCHRODER, OKLAHOMA CITY THUNDER: He's a tad overpaid, and his warts as a player are the same as they ever were in Atlanta, but for a sixth man, boy, you could do a lot worse. Sure, he's padded his overall numbers a bit doing his best Westbrook impersonation during the games Brodie has missed with injury (18.1/ 5.3/ 5.7 in 33 mpg over 9 games as a starter this year), but he's been impactful as the engine of the second unit and alongside Russ in dual-point guard looks as well. Any measure of delta on the scoreboard you want to use -- plus/minus, on/off, net rating -- all paint him as terrific. OKC has gone 20-6 since their cold-shooting 0-4 start, and they are 1st in Defensive Rating and 5th in Net Rating, so team success could certainly buoy his candidacy to a degree. It still probably won't be enough to put him over the top, however, given all the other mouths to feed in the OKC pecking order and the rest of the contenders. DERRICK ROSE, MINNESOTA TIMBERWOLVES: So perhaps I was a tad hasty in saying D-Rose should hang 'em up. Amazingly, the former MVP has found second (third? fourth? FIF?) life as an ultra-efficient bench spark plug, including an unsustainable 47% from downtown on 3.3 attempts per game. Whether or not the regression monster is coming for him, there was simply no way to predict this type of career renaissance based on how cooked he appeared the last couple seasons, especially last year. Did he fly to Germany to get the secret Kobe knee treatment in the offseason? We may never know. Regardless, and however you feel about Rose personally, good on him for not giving up and rediscovering his form by evolving as a player. MONTREZL HARRELL, LOS ANGELES CLIPPERS: Harrell and the next guy on the list are essentially carbon copies of each other: per-minute and advanced metric monsters who have inarguably outplayed the more-heralded big men starting in front of them with a combination of effort, energy, and efficiency. Harrell pops off the screen when you watch him because he just plays so damn hard at all times, attacking the rim and drawing fouls with an almost unsettling ferocity. 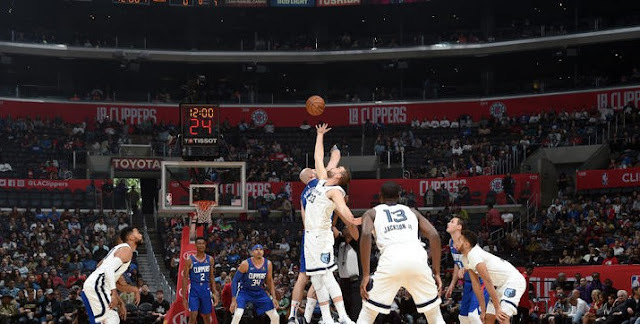 His minutes and productivity have both slipped during the Clips' recent swoon (1-6 in their last seven games), but if he can return to form and overtake some of Marcin Gortat's minutes, his numbers may end up being too gaudy for voters to overlook. DOMANTAS SABONIS, INDIANA PACERS: Again, choosing between Harrell and Sabonis involves picking serious nits, but I'll give Domas the edge based on his superior rebounding, scoring efficiency, and the overall polish of his game at a younger age. After being misused as a stretch-4 in OKC, Sabonis has found his niche on the interior in Indiana, and his impact on the surging Pacers has been enormous. He possesses the sky-high basketball IQ and playmaking instincts one would expect from the son of legendary big man Arvydas Sabonis, and he makes up for middling athleticism with exquisite positioning and a motor that never stops revving. This is somewhat anecdotal, and it's unclear if his rate stats would hold up in a larger role, but when I watch Domas play, it feels like he's always making plus plays, and it is impossible to forget he's on the floor. The front office will need to determine if Sabonis can fit long-term alongside recently extended big man Myles Turner (4-years/$72 million kicking in next season) in a twin towers-style lineup. Their minutes have mostly been staggered to this point (Sabonis has played only 167 of his 740 minutes with Turner in the lineup, and the two have a slight negative point differential in those minutes), which is untenable over the long haul for two core players. Turner may have already gotten his payday and is probably still the superior defensive player, but if Sabonis continues to improve and produce like an All-Star, it will be nearly impossible to convince fans and ownership he shouldn't have a larger role on the team. In the meantime, let's not forget how the Pacers got pilloried for the return in the Paul George trade, and less than 18 months later, that return includes an All-Star and Most Improved Player in Victor Oladipo and a superstar role player, possible future All-Star, and strong candidate for Sixth Man of the Year in Sabonis. Always remember: the collective NBA hive-mind knows nothing. 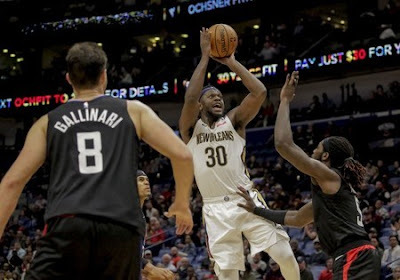 JULIUS RANDLE, NEW ORLEANS PELICANS: My choice for the award as 2018 winds down is another guy who is only a bench player by virtue of the positional logjam at the 4 in New Orleans. On most teams, a player as skilled as Randle would certainly be a starter, but the presence of Nikola Mirotic (and his cleaner fit alongside Anthony Davis in the starting lineup) has pushed the bulldozing former Kentucky big man to the second unit, where he has produced far beyond anyone else in the league. Randle has yet to develop an outside shot, but he does virtually everything else well offensively: an elite scorer in the restricted area (72% FG percentage), gets to the free throw line (8.1 attempts per-36 minutes, a career high), and very effective as both a scorer and distributor in transition. If his defense ever catches up with his offense, look out. The presence of Mirotic, along with the '19-'20 player option in Randle's below-market contract which he will almost certainly decline to become a free agent, have fueled speculation New Orleans might look to deal Randle prior to the trade deadline as part of a package to provide reinforcements for Anthony Davis as his potentially apocalyptic pre/free agency decision approaches in 2020. Any move would likely shift Randle into a starting role -- he has already started 11 games, by the way -- so it could throw his eligibility for the award into question, but assuming the status quo holds, it's hard to argue with his credentials. Julius Randle is a bad man, and as things stand today, he should take home the trophy.